You are a young Cadet trying to graduate from the Space Academy and make a name for yourself as an officer. You must complete you training and prove your abilities in order to move up through the ranks and increase your score. Do you have what it takes to become a Fleet Admiral? In 3D Space Cadet Pinball you'll find out! 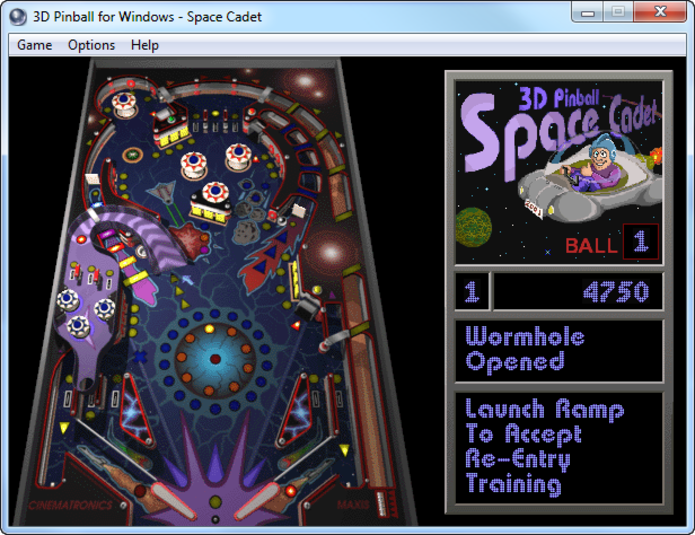 3D Pinball for Windows: Space Cadet (referred to as 3D Pinball or simply Pinball) is the version of the game bundled with various Microsoft products. It was originally packaged with Microsoft Plus! 95 and later included in Windows NT, Windows Me, Windows 2000 and Windows XP. Instructions are available from Microsoft on how to install it on Windows 98. Windows XP is the last version of Windows to include the game, as it was removed in Windows Vista. 1,715 7,386 Microsoft <img src="http://www.oldergeeks.com/downloads/gallery/thumbs/SpaceCadetPinball_th.png"border="0"> May 13, 2016 - 11:40 1.0 1.86MB MSI , out of 19 Votes.